Short blonde hair is one of the coolest looks of the moment and is included in my list of the hottest short hair trends right now. In this gallery, I've chosen my favorite short blonde hairstyles from 1000s of red carpet and street pics. You'll see pixies, bobs, pompadours and long bobs in many shades of blonde. This style can look chic, sophisticated, edgy or classy. You can wear it mussed-up or perfectly coiffed and you can choose from dozens of shades of blonde from bright platinum to dirty blonde. Choosing the perfect cut and color can be intimidating. I recommend looking through photo galleries and choosing your favorites, showing them to your stylist and finding the right look with his or her help. The hair color should flatter your skin tone. Unless you are going no more than a couple shades lighter than your natural hair color, I don't recommend going blonde as a DIY project. See a colorist for best results. The cut should flatter your face shape (see Short Hairstyles: Which Work Best With Your Face Shape?) and work well with your hair texture. You don't want to fight your natural hair texture every morning. The difference between an edgy, modern haircut and a mumsy one lies in your hairstylist. If it's edgy or modern that you want, go to a stylist who's known for creating these looks. Your cut is key, as is the styling products you use. Don't miss Is Your Hairstyle Aging You? I don't look great in really short hair, but a long bob suits me beautifully. To find out your best hair length, see 8 Rules to Picking Your Perfect Short Hairstyle. Edgy platinum pixies are my absolute favorites. They are high maintenance. That blonde in particular. See more short, edgy haircuts and find out if you can get away with platinum hair. Charlize Theron cut her hair into a pixie a few years ago, grew it out and then cut it into a pixie again in 2015. 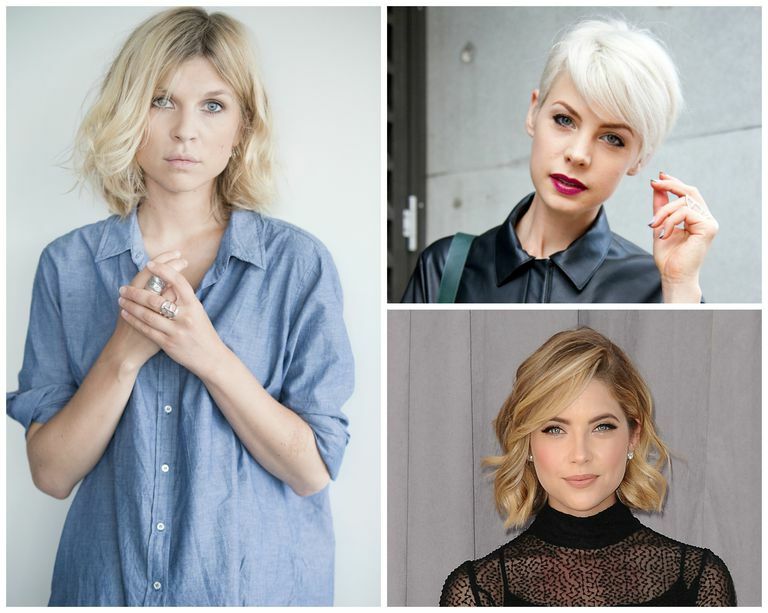 If you're not sure if you'd look great in super short hair, consider going to the chin or just below first. Ashley Benson's long bob is absolutely gorgeous. For your next cut you can go shorter. This platinum pompadour is absolutely stunning. See more pompadour hairstyles. I love the shaved sides on Sibley Scoles' hair. Don't miss Celebrities in Short, Edgy Hairstyles. Styling short hair can be high maintenance for some women. You need to right tools and products to get that perfect tousled look that's so in right now. 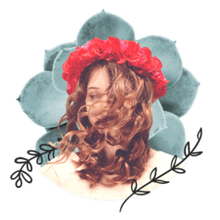 Find out more in The Best Hair Products for Pixie Hairstyles. Jennifer dyed her hair blonde in late 2015 and everyone raved over it. Don't miss How to Tell if You'd Make a Good Blonde. This simple bob looks great on blonde hair (or any hair color). Ask your stylist to cut the back slightly shorter. You can do this cut with side-swept bangs, modeled here, or blunt fringe that hit the brow or just above it. Short Blonde -- and Curly! When you have super curly hair like model Julia Garner, pictured here, you typically don't want to go short. Short hair can frizz up on you more easily than long hair and well, hello, pouf-ball. The fact is, the longer your hair, the more your curls will weigh hair down. That said, the right haircut can work on curly hair and Garner's cut proves this. See more amazing short, curly haircuts. Diablo Cody, the director, is only sometimes blonde. Most days, she's actually a brunette! This short hairstyle is a longer bob with side-swept bangs. Note the super blonde color, which is great against tanned skin. This honey blonde is warmer than the cooler color in the last picture.